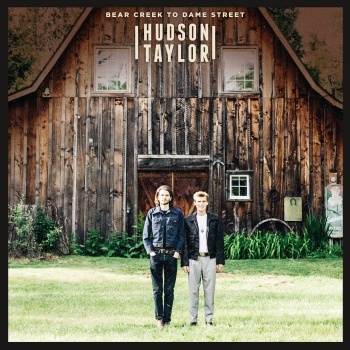 “A pop-rock-americana group fronted by brothers Harry & Alfie, Hudson Taylor is selling out huge shows in their native Ireland and across Europe. They are returning to North America this fall for their second tour here, opening for Hozier”. Before their gig tonight at Rebel Complex in Toronto, we caught up with Harry to get the Hudson Taylor backstory and find out more about the brothers’ sound. When did you know you wanted to be musicians? We actually were playing just for fun when we originally started in 2008, uploading videos on YouTube and busking on the streets of Dublin to make pocket money. It wasnt until 2010 when we started to investigate what the music industry has to hold and we decided we were up for the challenge of making it a full time thing. I started playing music at the age of 5 starting with piano lessons and eventually picked up guitar at age 10. I mostly practised guitar a lot in my bedroom and with piano did almost everything possible to try and not play what my teacher asked. Alfie picked up guitar out of necessity to write songs at about age 16. Since we’ve been in the band together we mostly just develop on the job. Incremental learning through gigging continuously. We were away on a family holiday in 2008, Alfie was 15 and I was 16. I took my guitar along with me, and every evening of the holiday we would take the guitar out on the beach and have a jam. Attracting a crowd after a few evenings, a group of people, mainly German holiday makers started to request we play certain covers. We played what we knew and learned other songs during lazy days in the sun. Alfie would sing the melodies and I would naturally end up singing the harmonies. After the holiday our new friends asked us to put some of the covers up on YouTube and so we did and this became the original platform for putting out music, eventually we started writing original songs so this was the birth of where we are today – ten years later. Acoustic guitars, brothers singing in harmony. Pop songs with Folk, Blues, Americana & Country influences. Walk us through your writing process. We draw inspiration from what’s going on between us as brothers, around us with family, friends, and in wider society. The writing process usually consists of us either separately or together coming up with ideas, whether that be lyrics, melodies or guitar riffs and then eventually finishing them off together. We play a lot of gigs. Often the crowd can make us find renewed love for songs that might be stagnant for us so that’s a nice part of it all. Personal favourite of mine is our current set opener “Travellin’ “. Being the set opener it really sets the mood. It’s an upbeat feel good song and shows off our band quite well. Also we change the opening lyric in each city or town to include its name which always seems to get a nice reaction. An eclectic mix of louds and softs. Lots of vocal harmonies. Lovely textures like violin, whistles and harmonicas. Plenty of sing along moments. On all online retailers and streaming services. We also sell EPs and soon to have Vinyl on our website.